The world's financial markets got off to such a rough start this year that some enterprises froze plans to upgrade their campus networks. 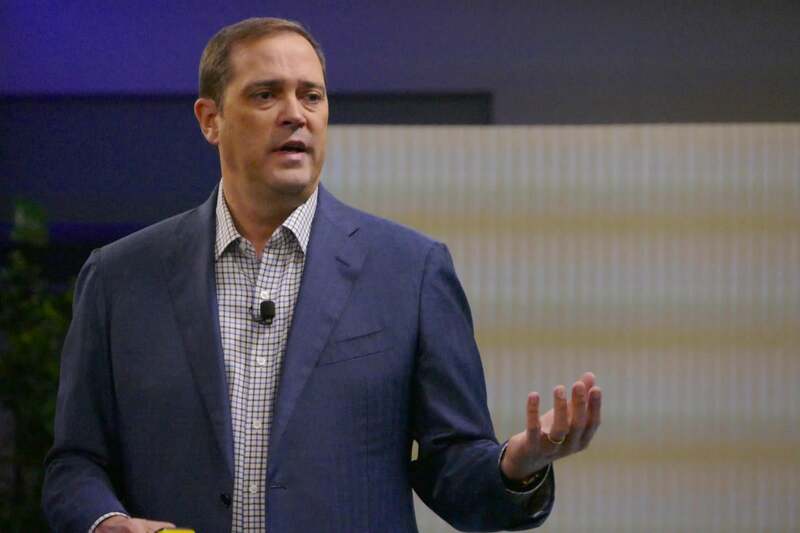 After oil prices and stock markets around the globe plunged during the first trading days of the year, there was a slowdown in spending that hurt Cisco Systems results and colored its forecast for the current quarter, CEO Chuck Robbins said Wednesday. "You see customers say, 'I want to just wait, see what's going on,'" Robbins said on a conference call about Cisco's fiscal second quarter, which ended Jan. 23. The report was a reminder that what happens in financial markets can echo in IT departments if business management fears shrinking sales or a falling stock price ahead. Cisco has a different financial calendar than most other IT companies and is one of the first to report on a quarter that spilled over into this calendar year. It's the world's dominant supplier of networks. The quarter was going according to the company's expectations until its final three weeks, Robbins said. The "pause" most affected spending on campus networks, the systems that connect servers and data centers to desktops and, increasingly, mobile devices. "Where they had the option to wait, they chose to wait a bit," he told financial analysts. Robbins didn't estimate how long the pause would last. Fortunately for Cisco, spending on other key products didn't seem to be hit by the market jitters, the company said. While its switching revenue fell 4 percent from a year earlier, security rose 11 percent. Cisco is working to expand its portfolio from its traditional business of switches and routers to things like software, services and security. Overall, the company's revenue rose just 2 percent from a year earlier, to $11.9 billion. Its profit was $3.1 billion, or $0.62 per share. Adjusting for things like the fact that Cisco sold its set-top box business late last year, the company reported results that were roughly in line with what analysts polled by Thomson Reuters had expected. For the current quarter, which goes until late April, Cisco forecast revenue growth from a year earlier of between 1 percent and 4 percent. That's a wider range than the company usually gives because of the economic volatility it's seen so far this year, CFO Kelly Kramer said.